Sponsor Planetary or Graha Shanti Yagyas Planetary Maharishi Yagya performances promote good fortune in your life, and help to neutralize any negative influences before they can arise. Another meaning of the word “Graha” is “that which grasps or seizes.” This is because the Planets are continually influencing us based on our past actions. A Maharishi Yagya performance helps release any negative hold of the Planets or Grahas, freeing us from the effect of potential dangers and allowing us to achieve greater success in life. Modern science verifies the intimate connection between the Planets and our daily experience of life. Dr. Tony Nader (MD, PhD, MARR) has shown that the Planets are correlated with key components of our body and brain, our cells, and even our DNA, all of which structure our daily experience of life. On this basis, we can understand how the Planets can color our feelings, thinking, and activity in either a positive or negative way, day after day, year after year. A Comprehensive Birth Chart (CBC) portfolio is required to sponsor a Planetary or Graha Shanti Yagya performance. Preparation of the CBC portfolio is a separate service with an additional fee. If you do not have a Comprehensive Birth Chart, click here to apply. You will also need a current Yagya Recommendation, either from a Maharishi Jyotish Consultation or the Maharishi Yagya Recommendation service. If you do not have Yagya Recommendation, request one here. It is highly recommended that you have a yearly Maharishi Jyotish Consultation, and then schedule any recommended Maharishi Yagya performances. This will promote support of Natural Law though the influence of the Grahas. You may also request a Maharishi Yagya Recommendation without a Jyotish Consultation. If you already have a Yagya Recommendation, click here to sponsor a Planetary Yagya. If you do not have Yagya Recommendation, request one here. Print the Maharishi Yagya Request Worksheet for Myself or Another Person or for a Business or Organization. Complete the application to request a Maharishi Yagya performance. NOTE: A single Maharishi Yagya performance can be sponsored by multiple donors. If this Yagya will have more than one sponsor, or if you wish to make a donation in multiple payments, you will be asked to indicate the initial donation amount that will be submitted with the Maharishi Yagya application. Sponsor Specific Purpose Yagyas Specific Purpose Maharishi Yagya performances nourish key areas of your life, and provide greater support for the fulfillment of your desires. Specific Purpose Yagyas can support and enhance many different areas of life, such as health, peace of mind, harmonious relationships, business success, increased wealth, fulfillment of desires, and spiritual progress. A Comprehensive Birth Chart (CBC) portfolio is required to sponsor a Specific Purpose Yagya. Preparation of the CBC portfolio is a separate service with an additional fee. If you do not have a Comprehensive Birth Chart, click here to apply. Specific Purpose Yagyas are most effective if you first take care of any Planetary influences. Therefore, to gain the greatest benefit, it’s recommended that you first apply for a Maharishi Jyotish Consultation or Maharishi Yagya Recommendation, and have your Planetary Yagyas performed before or along with your Specific Purpose Yagya. Review the following list of Specific Purpose Yagyas, then select one or more of the qualities in the list that you would like to have enlivened in your life. A Maharishi Jyotish Pandit will analyze the related houses in your Comprehensive Birth Chart and recommend a Specific Purpose Yagya performance based on the influence of the planets on those houses in your CBC portfolio. The Maharishi Vastu architecture program offers Fortune-Creating homes that promote good health, family harmony, peace and abundance. These positive effects can be further enhanced by a Royal Vastu Maharishi Yagya performance. In the Vedic tradition, there is a formal ceremony performed on the occasion of entering a Maharishi Vastu house for the first time. Whether you have built a Maharishi Vastu home or purchased one from someone else, it’s recommended that you sponsor a Yagya for entering a new Vastu home, which promotes the most auspicious support of Natural Law for the new inhabitants. In the past, the Yagya for entering a home was performed only at the auspicious time or Muhurta of the inauguration, and just for a few hours. The Royal Vastu Maharishi Yagya performance includes a larger number of Pandits, who perform the Yagya over several days or longer. This Yagya is unique because it brings maximum support of Nature over a long period of time. The performance is done in a secluded environment with the least disturbance from outside. The Vedic Pandits are completely dedicated to focus only on this one Yagya in order to generate the most powerful results and maximum fortune for the owner of the home. Print a copy of this application to use as a worksheet while you gather the requested information. Print the application for an individual, or for an organization. Gather all required information before you begin the online application. It must be completed in one sitting. You cannot save information and come back to finish it later. Is the Yagya performance for an individual or an organization? Country of residence and contact information. Applicant’s location during the Yagya performance. Recommended Yagya number, and category code for each Yagya. Source of payment: Single or multiple donors; single or multiple donations. Complete the application to sponsor a Specific Purpose Yagya. Please apply at least 2–3 weeks before you would like the Yagya to be performed. Make your payment by Visa, MasterCard, American Express, or PayPal. NOTE: A single Maharishi Yagya performance can be sponsored by multiple donors. If this Yagya will have more than one sponsor, or if you wish to make a donation in multiple payments, you will be asked to indicate the initial donation amount that will be submitted with the Maharishi Yagya application. Maharishi Yagya: A Vedic Technology Maharishi Yagya performances are a timeless Vedic technology that involve specially trained Pandits reciting Vedic sounds from a deep level of awareness in order to achieve a specific effect. Maharishi dedicated years to the careful and systematic revival of Yagya performances to restore this ancient technology to its full purity, power and effectiveness. He explained that the Yagya Pandits should perform their Vedic recitation from a settled level of awareness that is grounded in the silent transcendental value of speech. Only on this level is the link between sound and form—between the desire and the fulfillment of desire—intimately connected and enormously powerful. 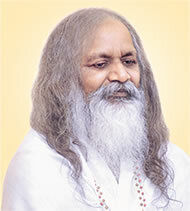 To create this effect, it is essential that the Maharishi Yagya Pandits incorporate the practice of Yoga—the Transcendental Meditation technique and its advanced techniques including Yogic Flying—to enliven the transcendental source of speech prior to their recitation and performance of a Yagya. Only Yagya Pandits trained by Maharishi have this crucial training and skill. Maharishi’s restoration and revival also includes a far more comprehensive training of the Yagya Pandits in proper recitation and pronunciation of the Yagyas. This extensive training over many years was developed and instituted under Maharishi’s close personal guidance in collaboration with the most respected master Pandits from across India. How Maharishi Yagya Donations are Used Maharishi Yagya performances are offered by the Brahmananda Saraswati Yagya Foundation, a non-profit organization. Donations for Maharishi Yagya performances are made to the Brahmananda Saraswati Yagya Foundation, a non-profit organization registered under Section 501(c)(3) of the U.S. Internal Revenue Code. Donations are used to support Maharishi Yagya performances and to promote Maharishi Vedic Science educational and training programs. Donations are tax-deductible for U.S. taxpayers, however it is recommended that you consult an experienced tax advisor regarding your specific situation. A receipt will be sent to you for each donation. For all other countries, consult a financial advisor regarding possible tax deductions.